It was a warm, sunny day, perfect in every way: crisp, clear and inviting. Time spent on the Leelanau Peninsula can feel that way in any weather (though locals tell me winter can be brutal). When I visit, I just find it magical. Who knows — maybe it is! I’m sure there is more than one winemaker in the region that hopes I’m right about the magic; they may need just a little of that after two particularly hard winters in a row. Still, I think these guys can do it. 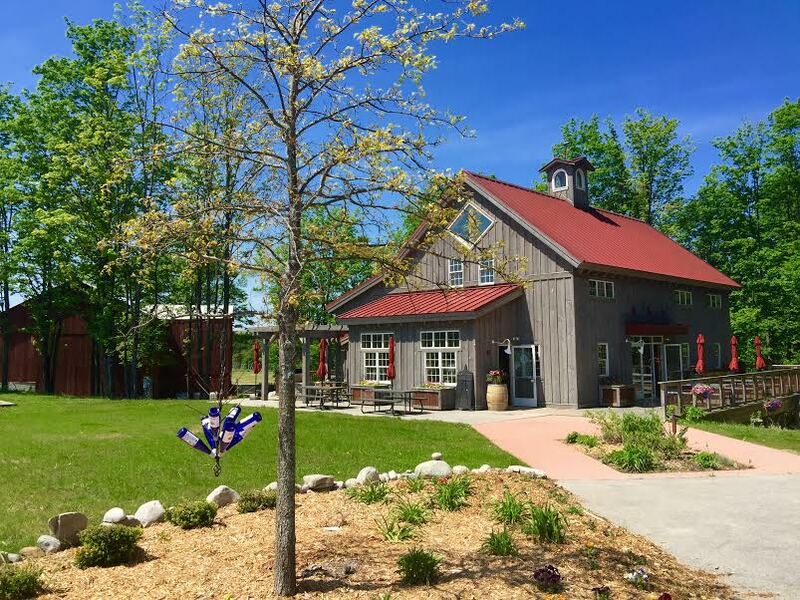 Winemakers in Michigan have a true pioneering, get-things-done, we-can-do-it attitude. Certainly the winemakers from Forty-Five North and Ciccone Vineyards — the next two stops on my list — both do. 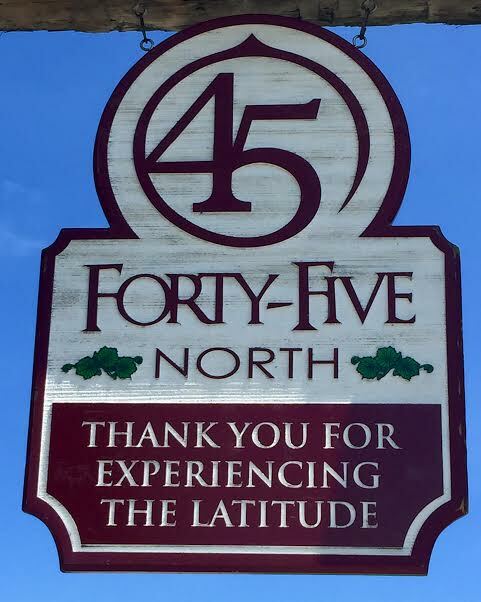 I’ll start at Forty-Five North, where I got swallowed up for an entire afternoon. I love making new friend while I paint. These two were curious and adorable, another nice touch on Project 24! Joyfully and blissfully, I lost hours in my painting and meeting the oh-so-lovely and crazy knowledgeable Channing Sutton. She’s passionate about this county, this land, the wine and people who make it and you the visitors, she passionate about you too. She’s passionate about Forty-Five North and couldn’t be happier that this is a Leelanau Conservancy property. More on that later, but for now, it is suffice to say that Channing knows a lot about a lot. I quit taking notes at some point and enjoyed absorbing what I could. If you come to Forty-Five North (and you should), ask for Channing, then listen. 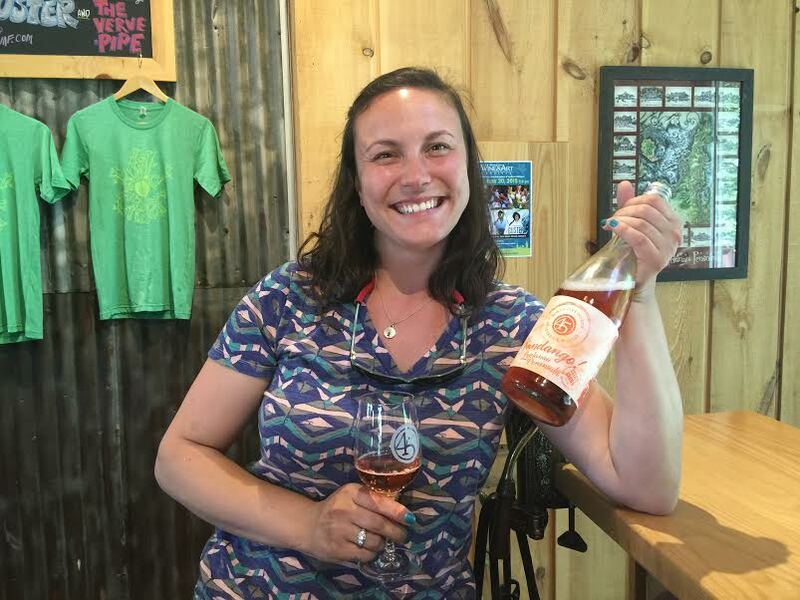 She will connect you to this land and vineyard, and isn’t that what wine is ultimately: a connection to the land? Forty-Five North is super excited about their winemaker, Jay Briggs, who — like Channing — loves his job and is deeply committed to this land and his craft: making stellar wines. My encouragement is go see for yourself, experience the latitude!